Makowski Legal - Blog MakowskiLegal.Com - blog. CPL CCW DEFENSE, CRIMINAL DEFENSE and NFA TRUSTS. On July 27, 2015, a 57 y.o. single woman was driving her Ford F150 pickup truck in Washtenaw County when she was pulled over for a burned-out tail light. When the deputy sheriff approached the vehicle she disclosed that she was a CPL carrier and that she had a firearm in her truck. The driver could not immediately locate her CPL so the deputy took her driver's license and the revolver back to his car and ran a check LEIN check. The LEIN check revealed that the revolver was registered to the driver but her CPL was expired. The driver had thought her license was valid for another year but it had actually expired several months prior to the incident (Under the prior version of MCL 28.425l many CPL holders who should have received licenses good for five years actually received licenses valid for only four years plus a couple days. This language was fixed in 2011 to ensure licenses last a full five years). The sheriff's deputy arrested the driver for CCW. e) To a person while transporting a pistol for a lawful purpose that is licensed by the owner or occupant of the motor vehicle in compliance with section 2 of 1927 PA 372, MCL 28.422, and the pistol is unloaded in a closed case designed for the storage of firearms in a vehicle that does not have a trunk and is not readily accessible to the occupants of the vehicle. The Washtenaw County Prosecutor's Office elected to continue and prosecute the driver for Carrying a Concealed Weapon. At her arraignment, due to difficult financial circumstances she requested court-appointed counsel. At her Probable Cause Conference the court-appointed counsel, an attorney with nearly forty years' experience, urged her to plead guilty to the charge because "Washtenaw County is really tough on gun crimes" and that he believed it would be impossible to get the charge reduced to a misdemeanor. Thankfully, she declined. The woman then went to her local gun store where she initially purchased her handgun and asked for advice. The staff at the shop referred her to me and I agreed to represent her. At the Preliminary Examination I spoke to the Assistant Prosecuting Attorney in charge of the case, showed her the relevant statute, and demanded a dismissal. We agreed at that time to adjourn the examination to allow the Prosecutor's Office to review the case further. 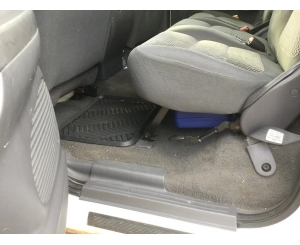 I then supplied demonstrative photos showing the location of the gun in the truck highlighting the sheer impossibility of accessing the firearm from the front seat of the truck. It was my honest belief that the Prosecutor's Office would voluntarily dismiss the case but just prior to the adjourned Preliminary Examination I was informed that the Prosecutor's Office had no intention of dropping the charges. At the Preliminary Examination the testimony from the officer made it clear to all that the 750.231a(e) transportation method was complied with but the Assistant Prosecutor tried to argue that my client had no "lawful purpose" for transporting the firearm. I pointed out that there was zero evidence of any UNLAWFUL purpose and that a lawful purpose is simply transporting the firearm from one location to another. Thankfully, the judge agreed with me and dismissed the case. There are four lessons to be learned from this case. First and foremost, make sure that you pay attention to when your CPL expires. Misreading the expiration date on your CPL can turn you into a felon and there county clerk WILL NOT notify you when your CPL expires. The draconian penalty for a simple oversight is something the legislature needs to address. Second, do not count on the police to be familiar with the law. After court the deputy sheriff approached my client and I apologizing for the incident. In his NINE years of law enforcement experience he had not been trained to understand the transportation exception contained in MCL 750.231a! He saw the expired CPL and wrongfully assumed that the prosecutors would sort the matter out. Third, DO NOT ASSUME that the clear meaning of a statute will set you free. The Washtenaw County Prosecutor's Office had ample opportunity to admit its mistake and dismiss charges but elected not to do so. We were taught in law school that the role of a prosecutor was not to find people guilty but rather to see justice done. Clearly the Washtenaw County Prosecutor's Office failed in this case. Finally, and most importantly, make sure you have competent legal counsel. The court appointed attorney originally assigned to the case had almost forty years' experience but had no understanding about gun laws and zero interest in learning. Had my client listened to this advice she would now be a convicted felon unable to own a weapon. I was happy to help my client in resolving this matter and the victory felt great but at the same time it deeply offended me that this poor woman had to endure the time, expense and stress of what I believe was a malicious prosecution for such a seriously flawed case. First, let me be clear: Domestic Violence is NEVER acceptable and this blog post should not be construed as me condoning or approving of violence against women. That being said, most people believe that a conviction for Domestic Violence automatically means the loss of their gun rights. That is not necessarily the case. In 1996 Congress, in a nearly unanimous decision, voted to amend the Gun Control Act of 1968 to prohibit individuals convicted of the "Misdemeanor Crime of Domestic Violence" from ever being able to possess a firearm (see 18 USC Section 922(g)(9)). As anyone who has attempted to purchase a firearm from a Federal Firearms Licensed dealer knows, Form 4473, Line 11(i) specifically asks if the purchaser has “ever been convicted of the misdemeanor crime of domestic violence” and an affirmative answer means your purchase will not be approved. That would seem to be the end of the inquiry but in fact it is just the beginning. First, one must look at the definition of Domestic Violence. The Lautenberg Amendment defines Domestic Violence as any state or federal misdemeanor that "has, as an element, the use or attempted use of physical force, or the threatened use of a deadly weapon, committed by a current or former spouse, parent, or guardian of the victim, by a person with whom the victim shares a child in common, by a person who is cohabiting with or has cohabited with the victim as a spouse, parent, or guardian, or by a person similarly situated to a spouse, parent, or guardian of the victim." Michigan's definition of domestic violence is far broader under MCL 750.81: "...an individual who assaults or assaults and batters his or her spouse or former spouse, an individual with whom he or she has or has had a dating relationship, an individual with whom he or she has had a child in common, or a resident or former resident of his or her household, is guilty of a misdemeanor ..."
A person is only federally prohibited from owning firearms if the conviction was for domestic violence against someone who cohabitated with or had a child in common with the victim. 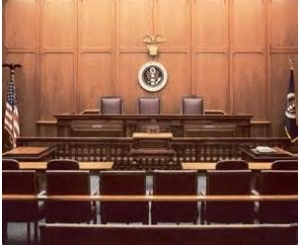 In Michigan, people are frequently charged with and convicted of Domestic Violence if the dispute occurred between people with a dating relationship. This distinction is key. What should you do if you have a conviction for DV that does not rise to the level of federal prohibition? Simple, contact me and I will help you get your gun rights restored. County courthouse bans holsters as "prohibited items"
This morning I had to run down to the Coleman A. Young Municipal Center in downtown Detroit. 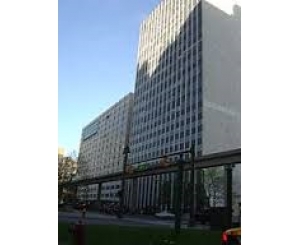 For those unfamiliar with the building, it is the former City/County Building and houses the Wayne County Circuit Court-Civil Division, Wayne County Probate Court, the Detroit City Council and Mayor's offices and various City of Detroit departments. When I went through the security checkpoint it beeped. I had my empty Crossbreed Supertuck at it's normal 4 o'clock position. The security guards then informed me that holsters were not allowed in the building. I demanded to see where they were listed and by what authority and the claim was made that they were following the policy of the Chief Judge. The debate got a little heated and four security guards attempted to kick me out and ban me for a week. I wasn't budging so they summoned a Detroit Police officer for assistance. After discussing the situation I agreed to comply (no choice had to get in the building). My name is Jim Makowski I am the Corporation Counsel and Legislative Director for Michigan Gun Owners, Inc.
A m>oment ago I was denied entry into CAYMC because I had an empty holster on my belt, having left my firearm in my vehicle in accordance with SCAO directives. Thank you for your attention to this matter and I would be happy to discuss the matter further should you wish to." I just had a very good conversation with Judge Colombo. He apologized for what happened and will investigate. He stated that there had been an incident last year in which a deputy spotted an empty holster and it created a security concern so as a result the security people took it upon themselves to ban holsters. He stated he is going to examine the issue and then either add it to the list of banned items or direct his security staff to ignore holsters. I urged him to follow the latter course and explained why.